In case you haven’t heard, the Dallas Mavericks won their first NBA Championship this Sunday. If you’re a sports fan, you may agree it was a come-from-behind-victory for the team, beating out the favored Miami Heat 105 to 95. Congratulations Dallas! 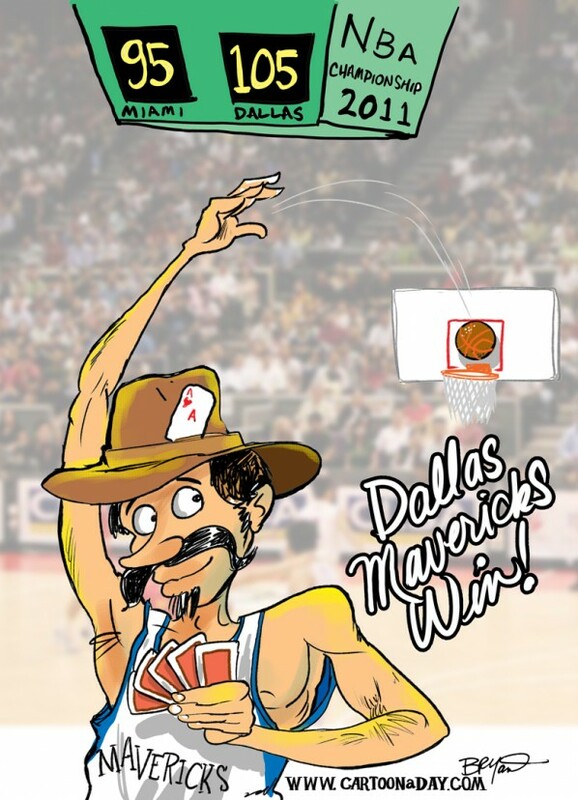 Today's Cartoon of the day features an illustration depicting the Dallas Mavericks winning the NBS Championship. Mavericks Beat Heat 105 to 95.